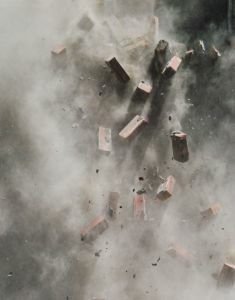 It happens time and time again and yet it appears that real estate officials seem to never learn their lesson when they knock down buildings that contain asbestos in Massachusetts either incorrectly or without proper regard for the dangers of this natural mineral. This time in happened in Holliston, The MetroWest Daily News reports, and town officials are livid because the demolition of a shed likely violated local and state wetlands protection laws in the process. Our Boston mesothelioma lawyers have noted again and again on our blog that developers have continuously violated state and local laws when they tear down buildings or renovate buildings without taking proper precautions to remove asbestos, which has been well documented to cause mesothelioma. Some builders have been put in jail because they put their workers at risk. Others have faced steep fines from environmental protection agencies because they put not only people, but the surrounding area, at risk because of their sloppy and unlawful work. In this case, a truck hit one wall of the shed during the spring and water officials decided to knock down the shed, which is located on a well access road. But town officials raised concerns that the shed, built in 1958, could contain asbestos. Because of the way the shed was torn down and that it was left unattended for more than six months, it is a clear concern to the environment. The Conservation Commission and Board of Health is planning to fine the water department. Water officials said they didn’t realize they needed a demolition permit or specially trained asbestos removal teams. That’s hardly an excuse in 2012, some 40 years after researchers first began looking at the ill effects of asbestos on the human body. While officials are saying all the right things — that there is no proof that there is asbestos in the building and that they are having it tested — a building created in 1958 could easily have been built with asbestos. The fact that it was torn down so flippantly shows a disregard for the potential harm that asbestos can do to people. Even a small amount of exposure in a short time period can lead to major long-term health problems. People who are around asbestos can later in life be saddled with a mesothelioma diagnosis. Mesothelioma is a rare and incurable form of cancer that strikes people decades after exposure to asbestos. It goes largely unnoticed, but once diagnosed, kills typically within 12 months. Many military veterans and older workers are now facing this difficult illness because of work with asbestos before people knew it was dangerous. In some cases, however, companies ignored the dangers and used it anyway, not informing employees how it could be harmful. The fact that town officials aren’t treating asbestos as dangerous and aren’t doing a sound job removing it is disturbing. Even a little exposure to asbestos can put a person at risk for major health problems years down the road.